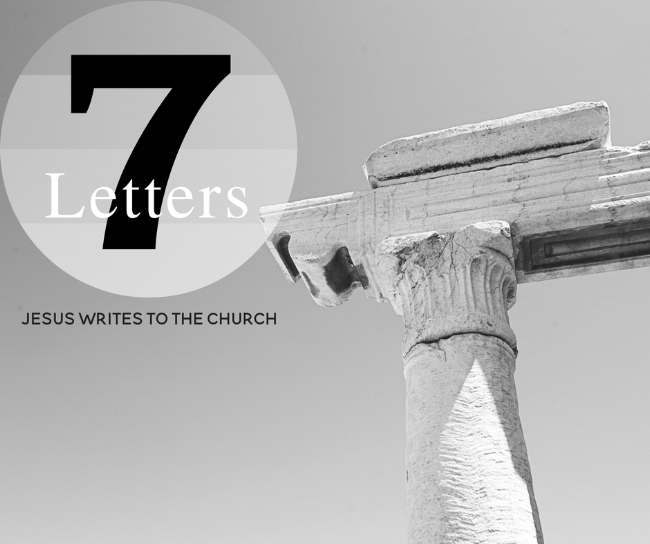 7 Letters is a sermon series looking at the letters of Jesus Christ to 7 ancient churches. These letters fill the 2nd and 3rd chapters of the book of Revelation written by John, one of Jesus’ 12 disciples. John is told: “Write what you see in a book and send it to the seven churches, to Ephesus and to Smyrna and to Pergamum and to Thyatira and to Sardis and to Philadelphia and to Laodicea.” (Rev. 1:11) Each Church is addressed specifically regarding what Jesus sees in them as he sovereignly rules over them as their Lord. He knows everything about these churches and writes to them through John with encouragements, rebukes, warnings, and promises.